Welcome wowzers! It's the second week of August already and school is in full swing around here even though we are way past that stage of life. No, kiddos here. The bathroom reno is moving along with the tile finally getting installed......yay!! Check out this cute homework room by How to Nest For Less. 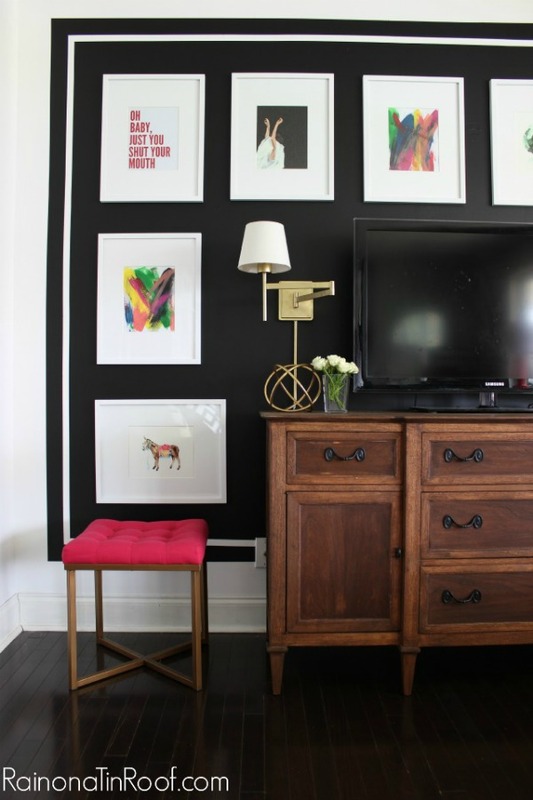 Fabulous DIY painted black gallery wall by Rain on a Tin Roof. 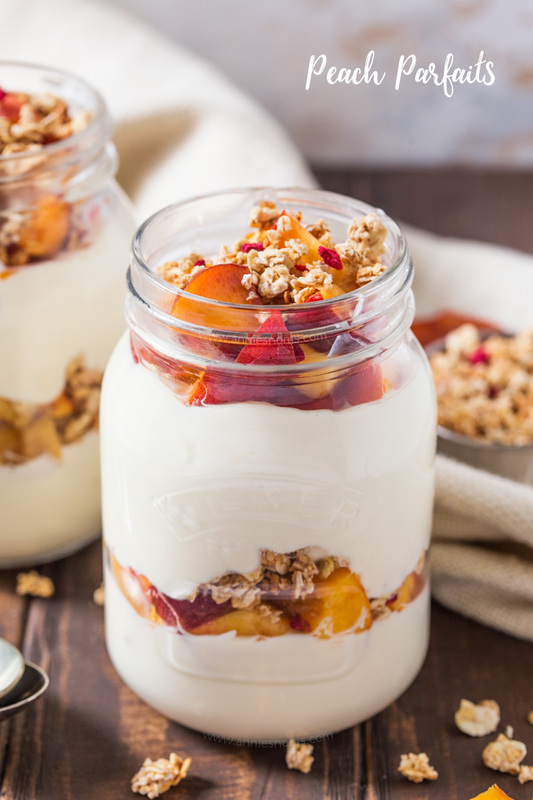 These peach parfaits by Annie's Noms sure look yummy. Now, we want to see what you have to wow us with this week. Great features...cannot believe that it is already the second week of August!!! Thanks for hosting and have a great week. Hope you have lots of progress in the bath reno! Love the features Kim and thanks for the party! I love the black wall! It is fabulous! I hope that your bath is coming along at the speed that you would like! Thanks for hosting such a lovely party. Love that homework space, but I'm NOT ready to think about school yet! Thanks so much for hosting, Kim! Lovely features, Kim. I'm so surprised that August has been cooler than July, and I can see little signs that Autumn isn't far away. Thanks for hosting! Lots of rain around here for the next few days! Thanks for hosting, Kim! Thanks for hosting. Have a blessed and fun week. I'm looking forward to seeing all this work you've been up to. I'm sure you're looking forward to being done! Thank you for hosting dear lady and have a great week. Kim, thanks for hosting! We just completed our guest bath's ceramic tile. I've waited 10 years for this bathroom to get done & am loving it! Can't wait till you can enjoy the satisfaction, too! Thank you so much for hosting Kim!! That black accent wall is gorgeous!!! Thanks for hosting, Kim and have a lovely Wednesday. Thank you for hosting the party! This party is always brimming with gorgeous inspiration. Thanks for hosting and have a wonderful rest of the week. I go back next week for meetings to get ready for the beginning of the school year. Thank you for hosting this link up party.